Droitwich Spa Station opened in 1852 on the Oxford Worcester & Wolverhampton Railway as Droitwich Station, changing its name to Droitwich Spa in 1923. 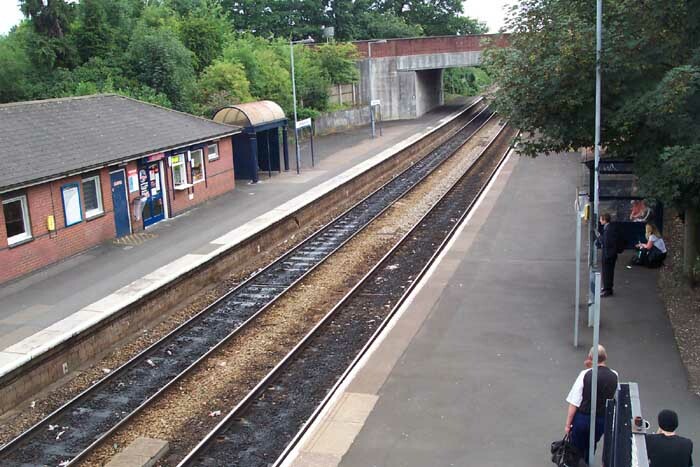 Above we see the view of the entrance to Droitwich Spa Station from Union Lane, July 2003. 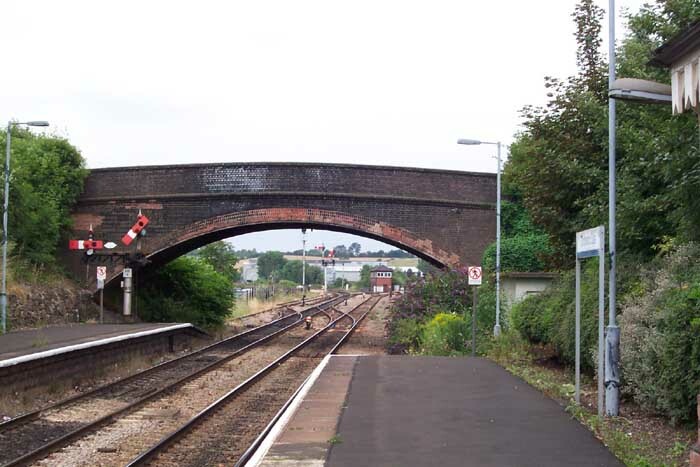 Above-left we are looking towards the junction mentioned above with a signal box situated between the splitting lines. Above-right is a view of the station looking towards Worcester taken from the station footbridge. 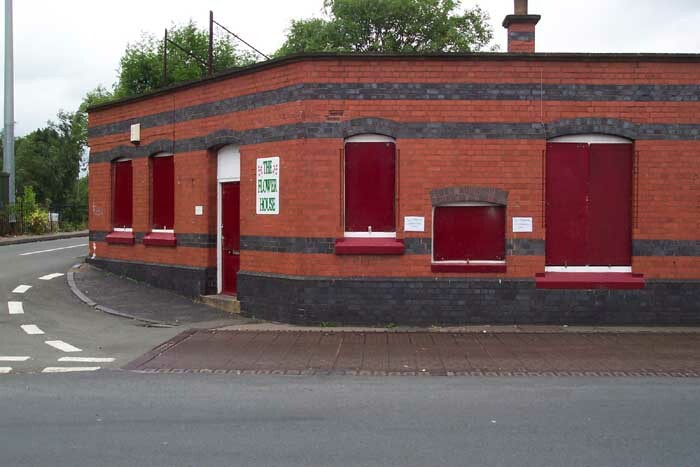 Above-left we can see part of the old station building and set-in the road at the front is the old public weighbridge. 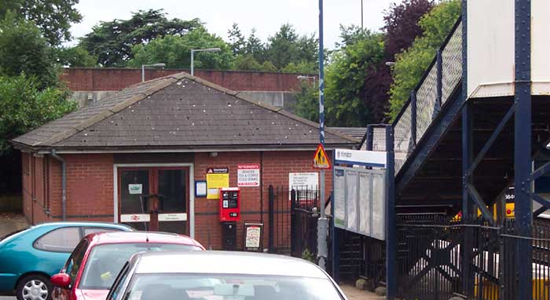 The current station is situated to the left of the picture. Above-right shows what remains (or doesn't) of the old coal sidings and yard on the right-hand side. 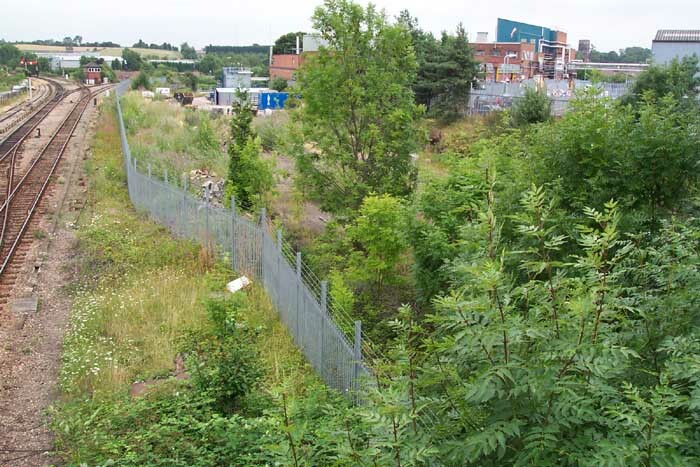 We are looking down from the road overbridge which can just be seen to the left in the above-left photograph. The foliage unfortunately prevents too much exploration but the old platforms can still be see in the undergrowth.